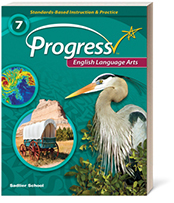 This supplemental program provides standards-based instruction, scaffolded practice, and varied assessment options for grade-specific learning objectives. Utilizing reading strategies requires students to stay active while reading a passage, which leads to them being able to comprehend a text on a deeper level. Download a Seven Core Reading Comprehension Strategies Tip Sheet that students can reference and add to their reading binders and/or journals. Assessment is a daily part of the educational landscape, and students often express dismay that they “don’t test well.” Whether it is a classroom assessment or a high-stakes testing situation, there are some test-taking strategies that students can employ to help themselves on test day.